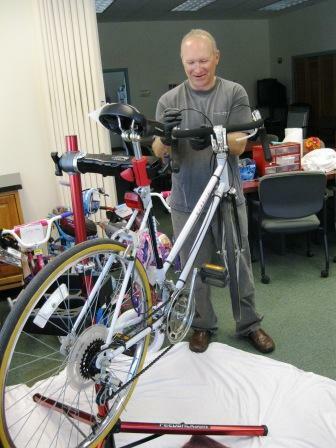 Bike Works provides bicycles to residents throughout Saratoga County who are willing to invest some time to learn the basics of bike safety and bike maintenance. With the help of the Stewart’s Corporation, CAPTAIN CHS provides new or lightly-used bicycles to deserving individuals for recreation, transportation, and as a means of promoting a healthy lifestyle. With a focus on education and developing a commitment to biking, CAPTAIN CHS staff and community volunteers teach bike safety, maintenance, and repair to area youth throughout the year. If you're interested in our Bike Works program, please download and complete the application below. 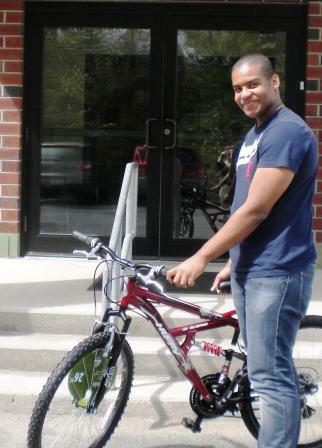 CAPTAIN CHS is currently seeking donations of new or pre-owned bikes in excellent condition. When cleaning out your garage, basement or other storage areas, please consider donating outgrown bikes to our Bike Works program. Call 518-371-1185 for more information on donating or receiving a bike through this program. If downloading a paper application, please complete and return to Stephanie at CAPTAIN CHS's Clifton Park office, 5 Municipal Plaza, Suite 3, Clifton Park, NY 12065.